It's no secret, I'm a Russophile. The Olympics in Sochi have done a good job of spotlighting the host country. Russian literature, music, folklore, dance, history, and even the language have long fascinated me. It definitely has nothing to do with politics. 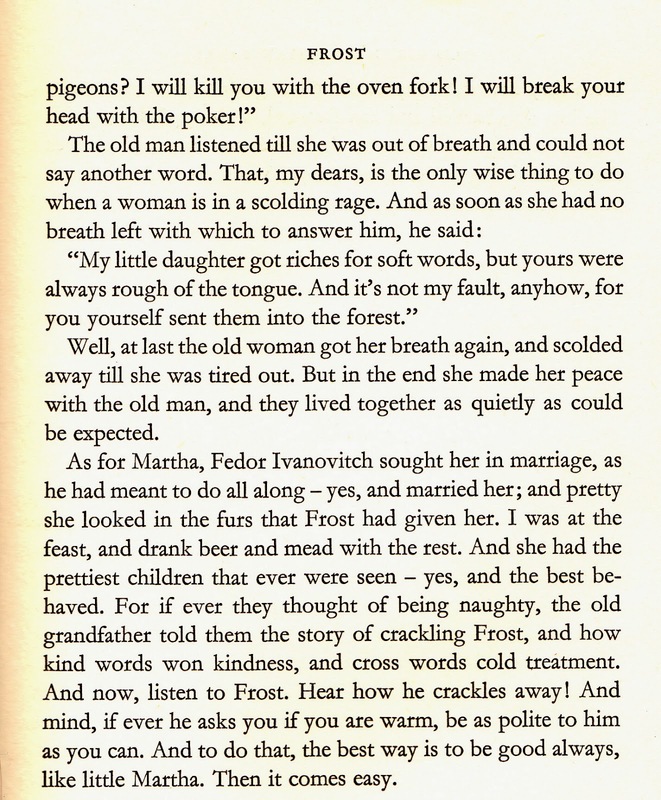 My self-taught reading knowledge of Russian has faded considerably, but the label, Russian folklore here has not. My bibliography here from July 7 of 2013 shows Russian folklore has many items on my groaning bookshelves. You may have noticed my Keeping the Public in Public Domain selections have been working their way through the alphabet . . . or as I like to put it: The alphabet is a tool; Use it! Yet another alphabet appears at the 2014 Olympics. The Sochi Olympics opening ceremony presented a long segment using the Cyrillic alphabet to focus on Russia's history and culture. I'm sure it puzzled many, but I hope eventually it appears in its entirety on YouTube as it's worth preserving. Students of the language, history or culture of Russia would find it a worthwhile introduction. So far I'm only seeing moments from it along with a focus on the 5th Olympic ring that never transformed from a snowflake. How shallow that seems as a review of what was presented. 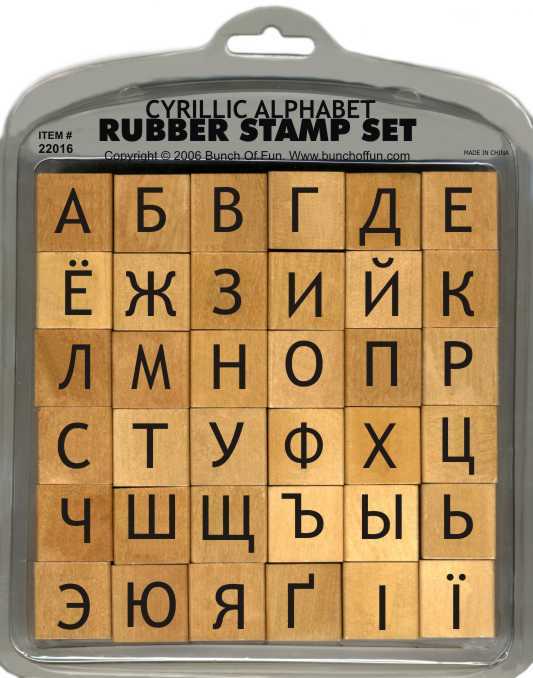 I guess we can chalk it up to the English-speaking world once again unable to make the adjustment to Cyrillic. I once heard it described as looking as if you were seeing the letters reflected upside down in the water. How sad that we have a lack of flexibility in seeing through the eyes of the largest country on earth. 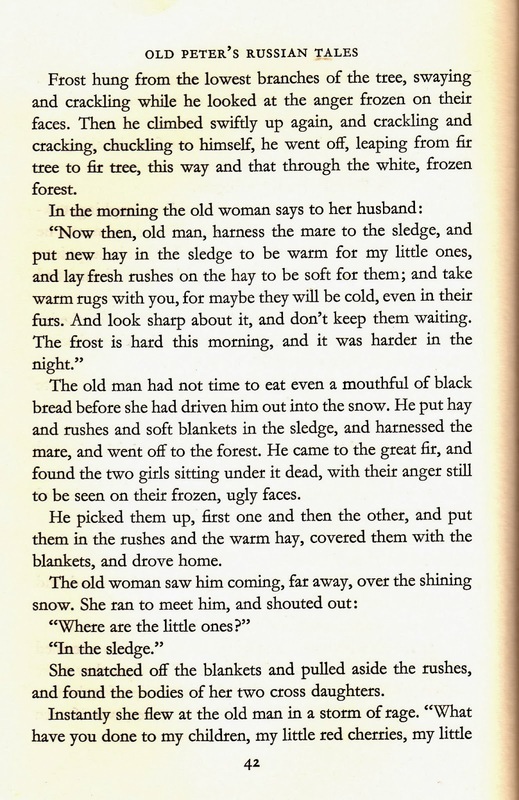 For today I won't attempt to ask readers to manage Cyrillic, but I do want to leave our own ABC order and jump to my favorite Russian story in the version I like best. 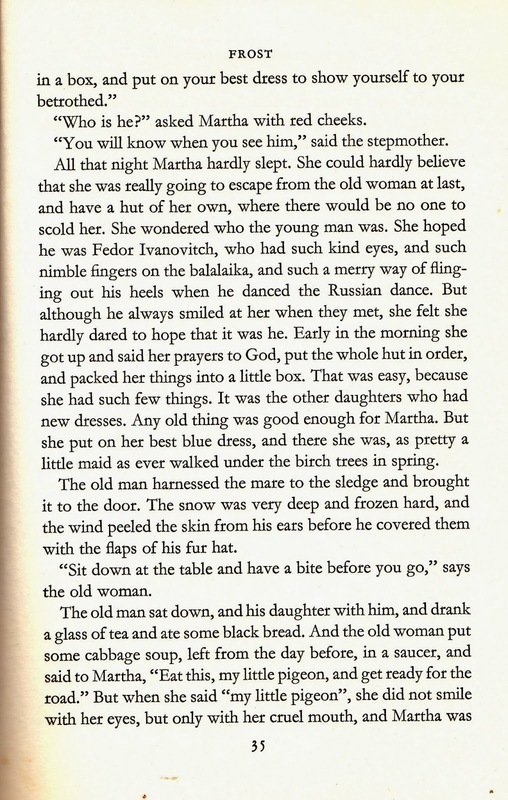 If you've never read Old Peter's Russian Tales by Arthur Ransome, you're missing a treat. 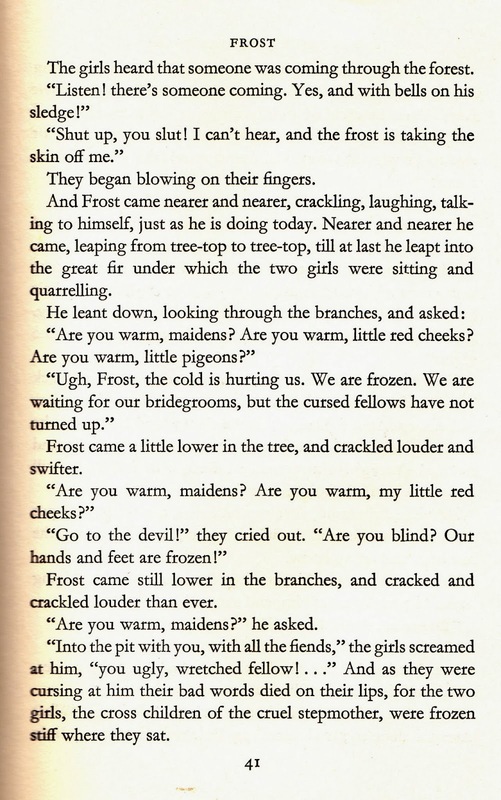 Today's story can be found in several other anthologies of Russian folklore, but I knew when I was selecting from Afanas'ev, Bain, and Blumenthal earlier that Ransome's version of Frost was the one I wanted to present. Whenever possible I try to give further links to information on the author or anthologizer. There's even The Arthur Ransome Society (TARS) His name seems made for anagrams as there's also the Arthur Ransome Trust (ART). They each have quite detailed biographical information beyond the far briefer standard Wikipedia article. Did you know he was a British spy with the code name S76? Did you know he ran afoul of what was then known as MI1c? You may want to know more about that and also how his Russian wife, Evgenia, who was Leon Trotsky's personal secretary when he met her, may have been involved in smuggling diamonds to the west to fund the Soviet cause. 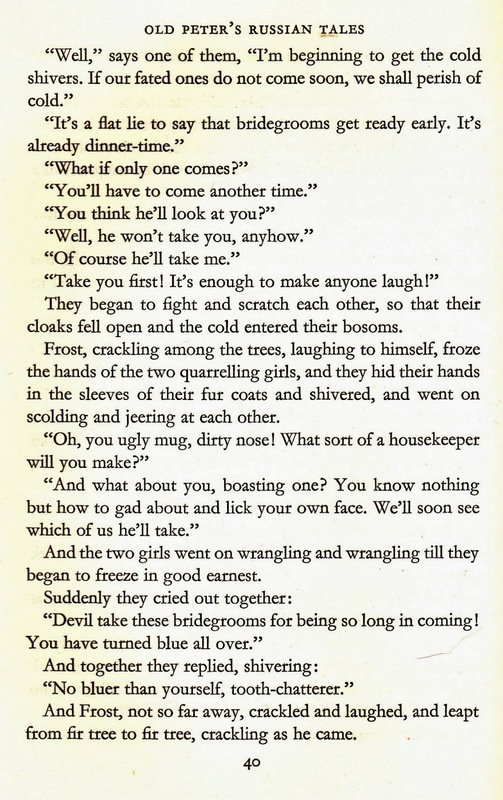 That's discussed in a 2009 book, by Roland Chambers in The last Englishman: the double life of Arthur Ransome, but certainly not in Ransome's own autobiography. 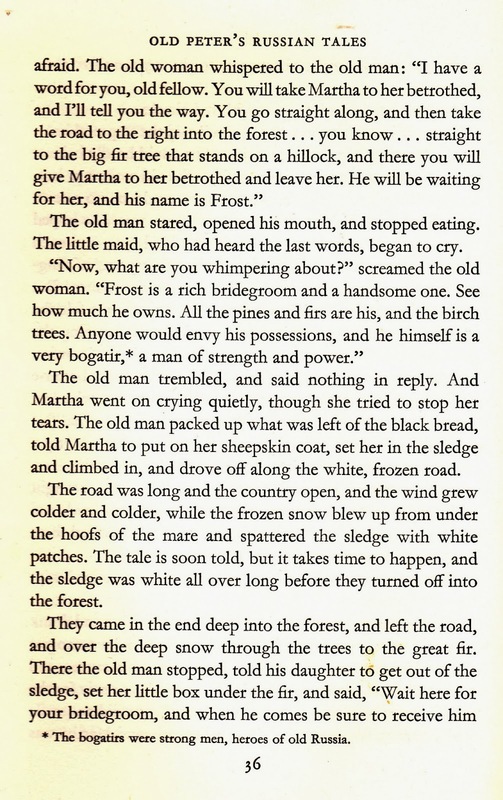 While each society focuses on Ransome's Swallows and Amazons and his related books and life, my love of his work goes back to his initial visits to Russia and his version of standard Russian folktales in Old Peter's Russian Tales. There are various editions differing only in the artwork accompanying it. It's also on various websites. 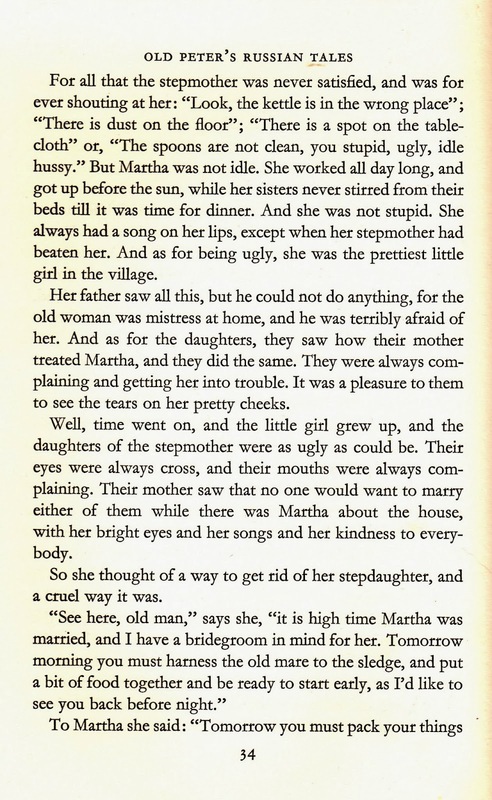 The link I gave is to Project Gutenberg since it offers multiple formats. 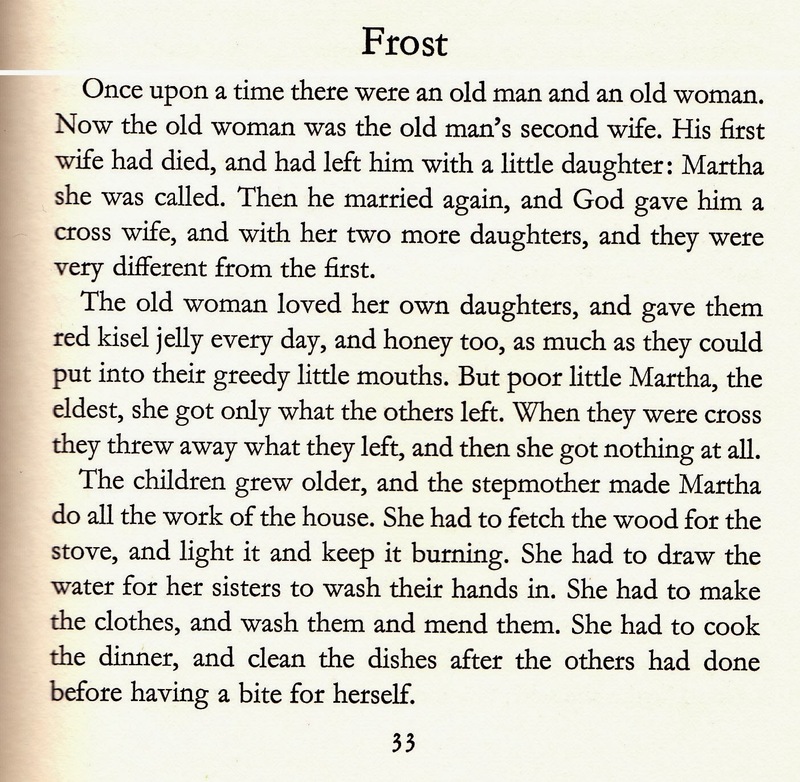 Here's the story minus the "frame" of Old Peter telling the story to some children. You may find it too close to this winter's weather. 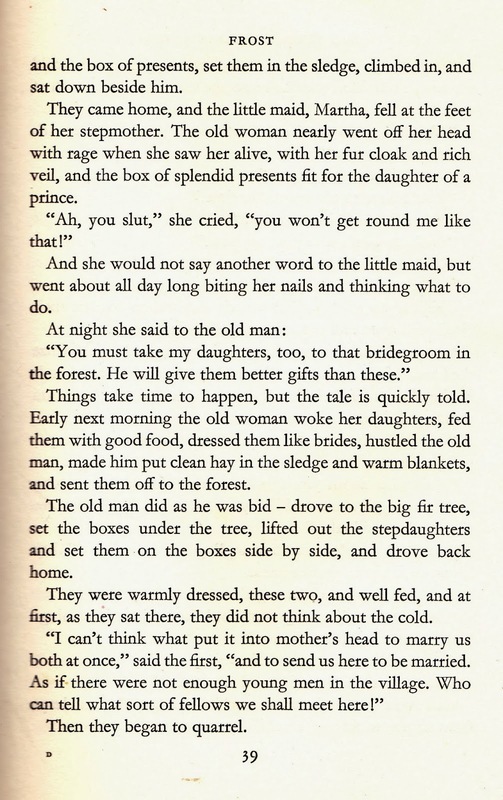 It also fits some very traditional tale types and motifs. 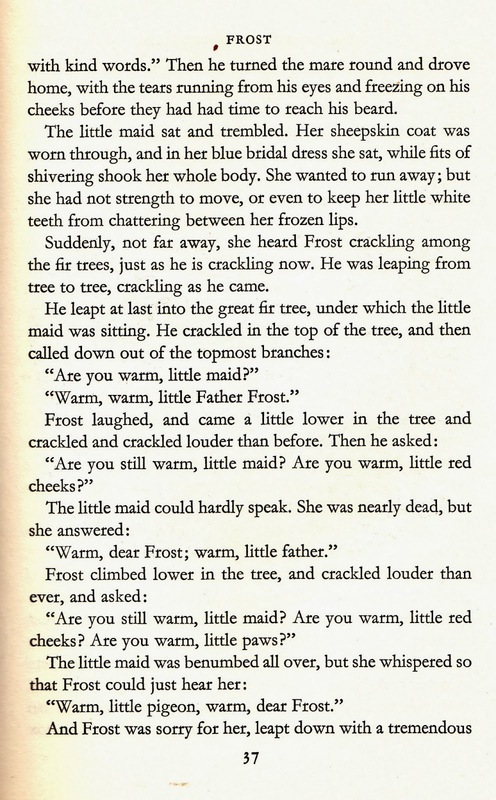 None of that negates Ransome's powerful retelling, so don't assume this children's version is childish. If today's tale is chillier than the slopes of Sochi, you can always return to it in summer. It certainly is as durable as the permafrost in giving a view into Russian folklore.